Patient referrals only. Clinicians please call your local Rep. 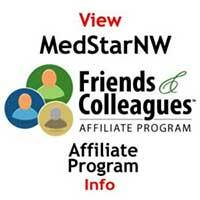 Welcome to the MedStar NW's online store. 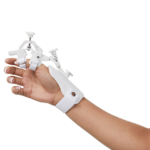 Our goal is to provide you the best in rehabilitation and therapy products from the trusted brands used by our clinician partners. We have worked hard to find the best products in every category and bring them to you at very good prices with outstanding customer service behind each and every order. Please call our toll free number if you are having challenges with the online ordering process, order tracking or product questions — 800-821-9319, during business hours. Please know that your orders are handled with a sense of urgency and great care and utilize the most secure technology available today. Your orders should arrive within a couple days. If you are unsure about which product to order please clarify with your clinician who sent you to our store to shop. Copyright MedStar NW. All rights reserved. If you are interested in opening your own online store to help better service your patients please call your local MedStar NW representative for details. It is easy, we do everything for you and your webmaster will love how easy and seamless it is to open immediately. Start improving customer service immediately with a MedStar NW partnership. Contact a team member today.